Our face is the first thing that another person sees. It is, therefore, anyone’s agenda to make the face as presentable as possible. However, some have many acne or scars or just have rough patches and big pores, and these skin problems may cause insecurities. Fortunately, there are ways to improve our skin especially the one in our faces. If you are eager to know how to get a smoother face, then here are some tips. The first step in achieving a smooth face is to ensure its cleanliness. It also helps a great deal if we know how and when to wash our faces. As everyone knows, a person must wash the face with soap and water regularly or at least twice a day, particularly in the morning and before going to bed. However, there are times when one has to wash the face more than just twice. For example, if the face is already dirty, then do not wait until night time to clean and wash the dirt off. Similarly, the face should be washed if you’ve been sweating. Cleaning the face also requires removing all the makeup. One should not go to bed with all the cosmetics on the face. It is also wise to use a makeup remover. 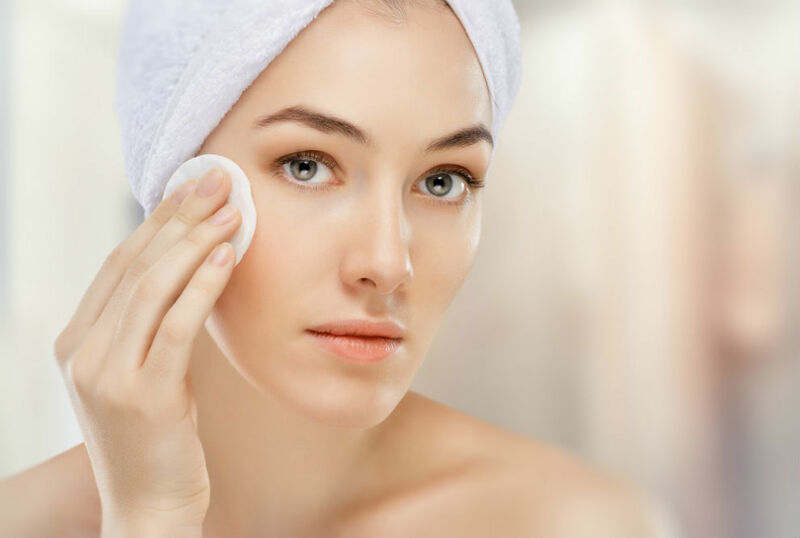 Using lukewarm water can also do wonders for removing makeup. Contrary to popular belief, one should not wash the face with any soap. In fact, dermatologists recommend using a gentle cleanser. Washing also requires applying the cleanser and massaging the face gently using the fingertips. Those who want to have a youthful looking face should also refrain from using too much pressure or all the fingers for cleaning. Just use two fingers to massage the face to ensure that the pressure applied is a gentle one. If one prefers to use a cloth, then it is best to choose a gentle washcloth, preferably made of cotton. Rubbing the towel hard on our face after washing is a mistake. One should instead pat the face to dry. The operative word is “pat” as, again, rubbing too hard can damage the skin. Many people find that going for regular facial or using a facial mask answers the question of how to get a smoother face. A facial treatment means having a deep clean for our faces with the use of the vacuum and other tools. One can get rid of their blackheads or whiteheads by undergoing this procedure. Meanwhile, using a face mask may also help achieve a smoother face. A face mask, after all, contains ingredients that help our skin to recover. It also moisturizes and helps in keeping our face look youthful. Make sure to go to a professional to avoid any complications. It is also essential to choose a face mask from a reputable brand. After all, we always need to be careful in choosing the products that we apply to our skin. One of the most common problems when it comes to our face is acne, which is caused by bacteria. A person should not feel hopeless if they have a bad acne breakout. Contrary to popular belief, acne can be controlled with proper hygiene and medication. Again, one of the best ways to prevent acne breakout is to keep our faces clean by following the tips above. However, it is possible to have so many pimples still even if we wash our faces regularly. If one has acne all over the face, then it might be worth a try to use a product with a bacteria-fighting agent, particularly Benzoyl Peroxide. There are plenty of products that has Benzoyl Peroxide as its main ingredient. One can get a facial wash or even a cream that has this active ingredient. It is best to read up on each product when choosing a facial wash with Benzoyl Peroxide as not all products are created equal. Some have a formulation that can cause so many side effects such as redness, itching, dryness or scaling. Other products, on the other hand, have lesser side effects. One should also take the time to read the ingredients of the facial wash or cream. Unfortunately, some products contain harmful ingredients such as dyes, paraben, paraffin, mineral oil or fragrance. Those with sensitive skin should look for a facial wash that is hypoallergenic as well as non-comedogenic. It is best to consult a dermatologist if one still has so many acne all over the face despite regularly washing the face and using a product with Benzoyl Peroxide. Sometimes, a dermatologist would require a patient to undergo a lab test for the acne. This means that a sample from the affected area will be taken and sent to the lab to determine the kind of bacteria. Lab tests sometimes are necessary to determine the skin problem and find the best solution or treatment. One should refrain from self-medicating or using different products in the hope of finding a solution to the problem. In many cases, a consultation with a doctor is all that is needed to put an end to acne breakouts. Doctors can never emphasize enough the need for eating healthy and getting adequate sleep. Many of our health problems, including our skin-related ones, can be caused by the neglect of our health. For example, sometimes, the cause of acne breakouts is stress, and it does not help if we do not get enough rest. No face will look smooth if one does not eat healthily and sleep sufficient hours. Achieving a smooth skin requires looking after ourselves. Yes, not everyone is blessed with great skin. Fortunately, there are ways of keeping our face smooth. Regular washing and cleaning is the first step to having a youthful and smooth-looking skin. There are also products for those suffering from skin problems such as acne, whiteheads or blackheads. Plus, there is always our friendly dermatologist who would be happy to help us.